LCD in this picture has 2×16 characters, so in quick way horizontal bar could have 16 steps resolution, but it’s not enough. Each character is formed from 5×8 pixels. Every character can be sliced in to 5 pieces. After that we can have 5*16 = 80 steps. First step is to create 5 custom characters. 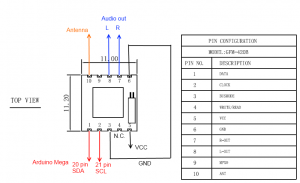 More about createChar() please read at arduino.cc. Each custom character is specified by an array of eight bytes. Byte represents character’s row. 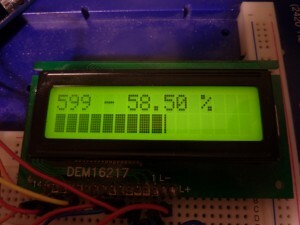 This entry was posted in Arduino and tagged bar, Hitachi HD44780, LCD, progress on February 8, 2011 by Darius. Old wish to make digitally controlled FM tuner come true when I found on Ebay cheap module with TEA5767 (Low-power FM stereo radio for handheld applications). For antenna i have used just 75 cm long wire, because that is 1/4 of wavelength at 100 MHz. 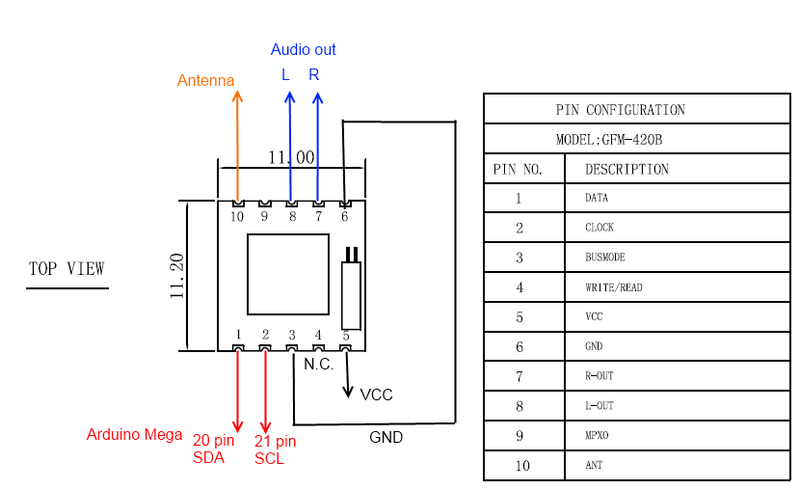 TEA5767 doesn’t have audio amplifier, sound output level is very low, headphone can not be connected directly. During testing i had connected audio output to PC audio system. 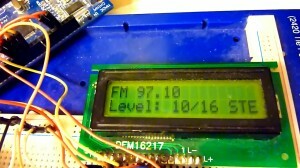 This entry was posted in Arduino and tagged FM, IC, radio, receiver, TEA5767 on February 8, 2011 by Darius.